Instagram is one of the most popular social photo sharing platforms on the web. 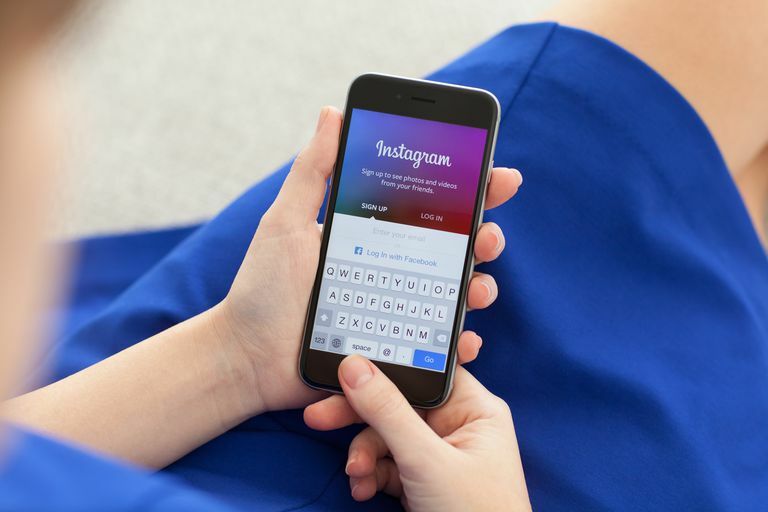 You can connect with existing friends who are on Instagram when you first sign up, but if you're somebody who's trying to build a serious brand or business page, then you're going to want to know all the tips and tricks there are to get more Instagram followers. Depending on how much you want those followers, you may have to work hard for it—especially if you want them to be real and very interested in your content. Here are a few suggested strategies you can try to help you get more Instagram followers. Nobody wants to follow a user who posts bland content. You want to make sure that your photo and video posts include the best, most high-quality content you can put out there. Other users will visit your profile and glance over it quick before making the decision to either hit that follow button or leave. To increase your chances of getting new visitors to hit that follow button, you might want to think about giving your profile a serious makeover. Keeping a posting schedule, posting regularly and staying consistent! You can have a great looking Instagram profile with lots of awesome content, but if you're not doing anything to get your content out in front of the eyes of your targeted followers, then you're going to have a hard time increasing your follower count. This interactive effort can be time consuming, but well worth it in the end. Look at the users who are following profiles similar to yours. Look at the users who are posting content under specific hashtags. Look at the users who are posting content in specific locations. Your interaction is meant to get targeted users' attention. They'll visit your profile out of curiosity and if they like what they see (because you post create content and targeted them properly) then you have a good chance of attracting them as followers. By getting your existing followers to like and comment on your posts, you'll increase your chances of showing up in the Explore tab of users they're connected to. For every Instagram user, the Explore tab shows a grid of both photo and video posts based on who they're already following and the type of content they like. This is a good thing, because it means you'll be rewarded with a bit of viral spread just for posting great content! So if someone views one of your posts that shows up in their Explore tab and then decides to check out your profile, you might just gain a follow from them. This is exactly how some of the biggest and most successful Instagram users ramp up their follower counts fast and efficiently. Visiting users who liked or left comments on your posts and returning the favor. Instagram Stories and Instagram Live are two other features that can help you interact with existing followers and bring you new followers in the process. If you take a look at the top of the Explore tab on Instagram, you'll notice that both stories and users that are currently live show in a horizontal feed at the top, which is exactly where you want to show up too whenever you post a story or go live. Your story will show up on the dedicated page for the specific hashtag and/or location you tagged it with. This means that users who search Instagram for that specific hashtag or location might see your story and decide to watch it, which could earn you new followers. Your followers will be notified of your live video. If a large number of followers decide to tune in, your live video could end up in the Top Live video tab shown at the top of the Explore tab. This means that users who are browsing through the Top Live video could decide to watch yours and eventually navigate to your profile to potentially follow you. If you’ve got a significant amount of people who pay attention to you elsewhere online–like on Facebook or on a personal blog–you could attract more Instagram followers just by letting those people know you’re on Instagram. Although buying more Instagram followers has always been an option, it’s not recommended if you’re looking for real, authentic users who will genuinely like your posts. Buying followers on any social media site is usually only suggested if you purely only want to get your numbers up. There’s no guarantee that followers you buy are currently active and many people who fork over the money for them end up with ghost accounts that only disappear over time. If you come across an account or a site that promises to give you hundreds or thousands of followers for different rates, don't fall for it. It's just not worth it in the end.